Available in 2kWh units the Sundial S works with the master unit to increase the storage size of a PowerFlow system. Up to 15 2kWh, or 30kWh devices can be added per phase in strings of 4 and 8 respectively. The S2 units simply daisy-chain onto the existing master unit, or other Sundial S units. 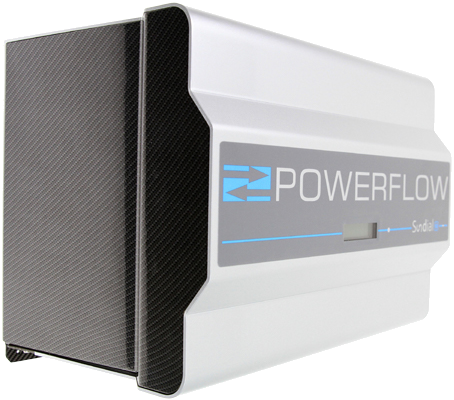 With its simple to install plug and play technology; PowerFlow SPEEDFIT, storage can be easily increased as and when its needed.